From my over twenty years of dating experience, discussions with girlfriends (and men), and following social media, I realize that I have always approached dating differently from other women. My upbringing and personal approach to life have provided me with a space of mental freedom that many women who have been indoctrinated in our culture and sexism have never had the opportunity to feel. I was excited while writing Date Like a Woman. The book flowed. I knew that women were ready for this book and I know that they will love it! I’ve been told that it is filled with humor. At the same time it gives women key strategies to simply enjoy the art of dating. That’s it. Date Like a Woman is for the 21st century woman who is past ready to sever the cord, yes, quickly, forcefully, and permanently, that has had women dangling perilously on words woven by multiple “dating gurus,” men who instruct women on how to date, and who spew dogma that teaches women to fit a certain sexist “stereotype” in order to be acceptable enough to be “chosen” by the man. “Men Chase, Women Choose,” is the theme woven throughout this book. It puts an end to guru dogma. Date Like a Woman is for the 21st century woman. It is a millennial teaching tool for the independent woman who has achieved or is achieving financial, social, and mental independence. She simply needs to be given a little nudge in order to be fully in tune with her budding confidence. Date Like a Woman is her guide. “I love the way Kai Nicole writes! She’s honest and funny. “Date Like A Woman”, is an easy read. I laughed and shook my head in agreement several times while reading this book. I can’t wait to finish reading it! I’m definitely sharing “Date Like A Woman”, with my girlfriends. 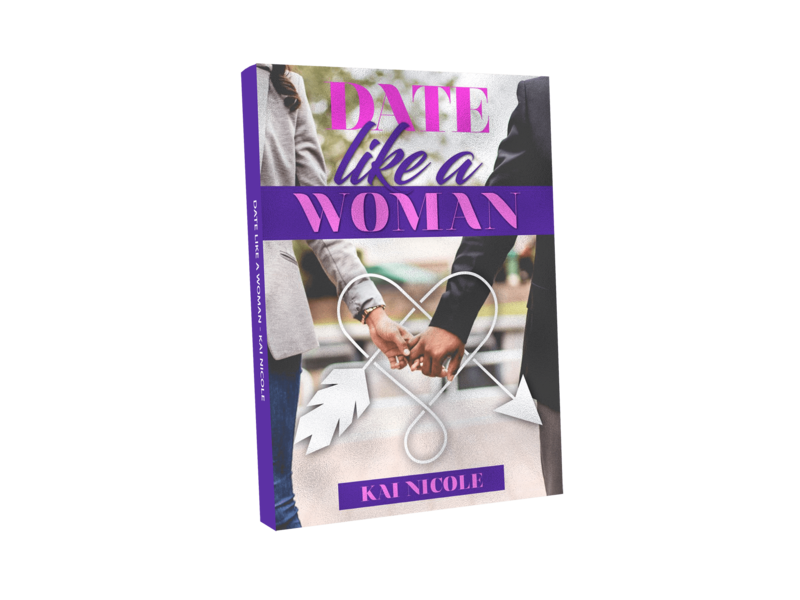 “Kai Nicole offers dating insight from a woman’s perspective in a world where we only hear men telling us what to do. It is very timely and personal for me because I know I need to do better when dating. After reading “Date Like a Woman”, I put down my “list” and decided to be more open. I put my phone down and decided to listen better. “Date Like A Woman is a guide to help women navigate the current dating world. This book is awesome in so many ways! First, it debunks a lot of myths about dating that women have been inundated with in the last several years,. It gives women practical tools to use that not only empower them, but help them feel secure in the dating process. Next, Date Like A Woman shows women that dating is fun and there is nothing wrong with dating multiple people at the same time. The notion that women should only date one person at a time is a thing of the past and in today’s climate, women should let go of the dating stereotypes that we hear about in the media and social media. Finally, this book discusses the importance of understanding that a person’s mental health plays a huge role in the dating process. The author gives women insight on things to look for when it comes to dating, which are very important.